On my recent trip to New York City, I stopped into the Birch Box flagship store in Soho. I've always been a fan of subscription boxes, but have yet to try Birch Box. Subscription boxes are a great way to try new products without committing to a full size. The Birch Box store is set up similar to other makeup stores like Sephora and Ulta on a smaller scale. They have full sized products for sale and also themed Birch Boxes that would make great gifts. Hi Friends! I'm constantly on my phone so I thought I would share some of my favorite apps that I use on a daily basis. Hopefully you'll check these apps out and see if you will benefit from their use. Let me know what apps you use that I should check out also! VSCOcam - I love VSCO for editing. Their filters and photo editing options are much nicer than instagram's. I usually edit my photos in VSCO before I put it into instagram. Moldive - I use this app for collaging multiple photos into one. This app makes it easy to move the frames around on your gridded photos and also adjust the width of the frame lines. Squaready - This is what I use to make my photos that I don't want to crop ready for instagram. It allows you to add a background to your photo to make it a square without cropping. I prefer to keep my background white to keep my photo clean in instagram, but there's also an option for a blurred background which I've seen look nice also. Canva - This app is good for designing photos. I use this sometimes when I'm creating graphics for my blog posts on the go when I'm not near my laptop. There's lots of great layouts that you can customize with your own photos and words. It makes designing easy for anyone! Sunrise Calendar - I like the overall interface of this calendar a lot better than the standard Apple on my iphone. It can be synced to your Google Calendar and even Exchange! Wunderlist - If you're a list person, Wunderlist is awesome! You can also invite others to your lists so they can add items or check things off. I use this with my roommates for things we need for the house and groceries. It makes trips to Costco super easy! Tinyscan - If you ever need to scan documents, this is an awesome app. It helps to scan your documents without the use of a traditional scanner. I've also even used this to scan some of my caligraphy to clean up in photoshop after to use for projects. Waze - This is the best navigation app hands down! It uses data from other users to give you the quickest route and will automatically reroute if there's a faster way based on other people's driving times. There are alerts that pop up to warn you about a car accident, police or even construction up ahead. Also, now that Google owns this, the search function is even better. 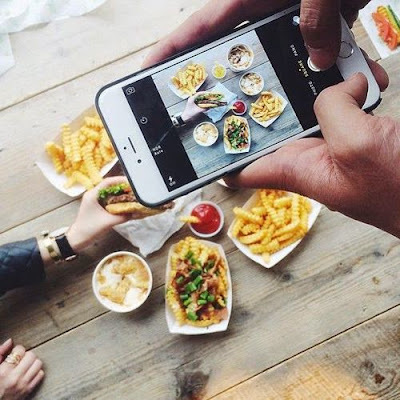 You can easily search for restaurants and other businesses to add to your trip. Duolingo - You can learn a language in no time! They make learning a language similar to a game so it's makes it fun. I've been trying to brush up on my Spanish and even trying to learn some basic French! Mint - This app is great for you to get an overall view of all your accounts. You can even set budgets for different categories to see what you're spending each month. Splitwise - This is great for splitting shared expenses between roommates or close friends or even your significant other. You all add your individual expenses and let it know how to split up the changes and it will automatically calculate and consolidate who owes who at the end of the month so you arent sending a bunch of different people money. It really makes paying for rent and utilities a breeze. I love the Momofuku Milk Bar in NYC. It's a must visit when I go to New York and my absolute favorite thing from there is the Corn Cookie. Because, corn, duh! My friend brought a gift back for me from her recent visit - some corn powder from their shop - a necessary ingredient to making the corn cookie. Apparently, the chefs at Milk Bar make freeze-dried corn powder by grinding freeze-dried corn. You can find freeze-dried corn at Whole Foods. David Chang loves to use freeze dried ingredients because it carries lots of flavor. Just smelling the corn powder was heavenly. I love corn! 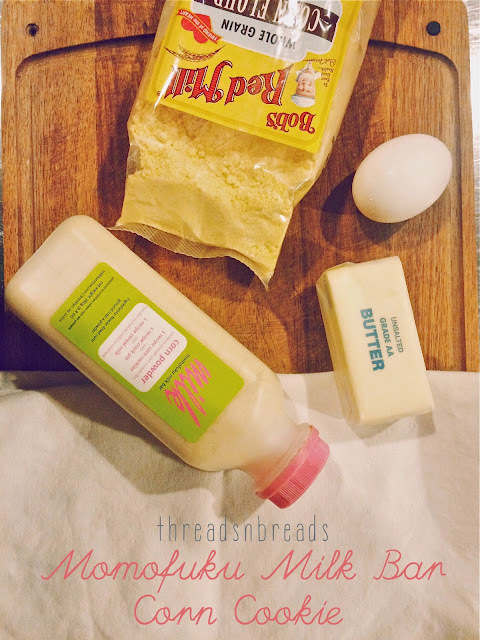 They also sell the corn cookie mix and other mixes online and in their stores so you can make Milk Bar goodies at home. 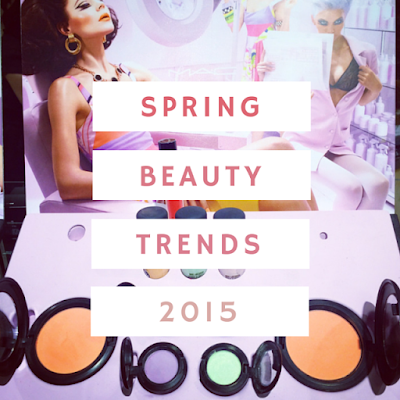 I recently went to the Nordstrom Spring Beauty Trend Show at South Coast Plaza. It was a great event that started bright and early. I was very excited to see what they would show as far as spring beauty trends for this season. The event ticket was $20 - which could be used toward any purchases as a Nordstrom gift card. Everyone at the event received a tote bag with some wonderful goodies. There was also snacks and coffee and jamba juice provided! The event started with a fun runway show that featured great spring fashions and of course amazing makeup. Each makeup line came out after the show for a few minutes and talked about new products that fit within the spring trends.